It would be nice to see more of Betty's musicals on TCM. I watched Betty's last two Paramount musicals today. Great fun seeing her with Fred Astaire in LET'S DANCE. The other film, SOMEBODY LOVES ME, cast her as Blossom Seeley in a biopic about the vaudeville star's life. I watched Betty's last two Paramount musicals today. 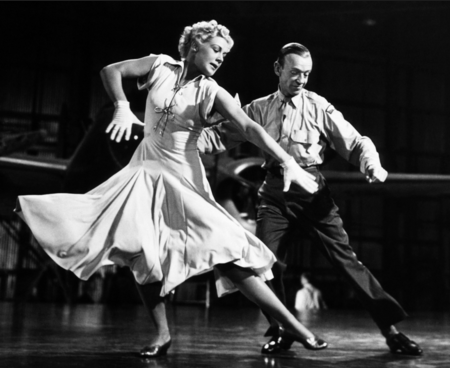 Great fun watching her with Fred Astaire in LET'S DANCE. The other film, SOMEBODY LOVES ME, cast her as Blossom Seeley in a biopic about the vaudeville star's life. She certainly made musicals, but "Annie Get Your Gun" and "The Miracle of Morgan's Creek" seemed to have overshadowed everything else. Well, they can be the gateway to her other screen work. I feel like I developed a greater appreciation for show business and showmanship watching her today. She's definitely an extrovert, nothing shy about her at all or her performance style. There's a line in SOMEBODY LOVES ME where she tells her husband (Ralph Meeker) that he can't give up performing because he's a ham like her. That was Betty talking about something she knew first-hand. Her energy, her ability to use the voice and body to keep the audience on its toes, is practically unmatched. What panache! People should seek out the two films you mentioned, Ray, but also the many other good ones she made. I just remembered this thread and wanted to post on it. I had found an old interview Betty did with Phil Donahue. The clips are on YouTube. She appeared on his talk show sometime in 1978. It's really worth watching if you're a fan of Betty Hutton. It was interesting how consistent she was about her life story. A lot of what she told Robert Osborne in her Private Screenings interview from 2000 was also mentioned in the Donahue segments. Of course, she was younger-- she told the audience she was 57. The Donahue stuff went more in-depth. And she answered audience questions which gave it a personal touch. They also featured footage of the kind of work she was doing in the late 70s. Her observations about show biz were very candid. Her films are rarely shown. Was she too high-energy for most people? She seemed to blast her way through films. Most likely because with the exception of ANNIE GET YOUR GUN, the majority of her films were done at Paramount and those are not in TCM's library. But the biggest Paramount film she made is on DVD and most people have heard of it-- THE GREATEST SHOW ON EARTH; and several others are in the public domain. Her performances should be rediscovered. Her energy is infectious. Her ability to entertain the masses is nearly unparalleled. I remember years ago on the old Merv Griffin Show, he had Betty, Ann Miller, and Jane Russell all on the same show. What a treat! It was an amazing time, and all three were gorgeous. 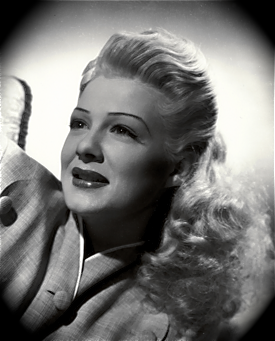 Betty Hutton was a major talent and simply wonderful in many of her films. She is good with Bing in "Here Come the Waves" where she plays twin sisters. Her voice was beautiful. As she stated, after she replaced Judy Garland in "Annie Get Your Gun," and was treated with such distain by the co-stars (this was shocking to hear and very sad) she did not want to be in pictures any more. Who can blame her? But she was terrific in "The Greatest Show on Earth." Do not think any other actress could have done that immensely physical role.